Join us for a delicious & inspiring meal strictly for Young Professional Internationals, Israelis, New Olim & Lone Soldiers ages 25-40. Enjoy meeting new people from all over the world! DINNER HOSTS: Jodi and Gavin Samuels, Co-founders of the JICNY. Daniel began his career as an attorney in the United States where he worked for high profile law firms in New York and Chicago before starting his own law practice, and later making aliya to Israel. He also worked in publishing and communications in positions such as Executive Editor and Chief Executive Officer. At HonestReporting, Daniel combines his commitment to fairness and analytical thought with his love for communications and his dedication to Israel. 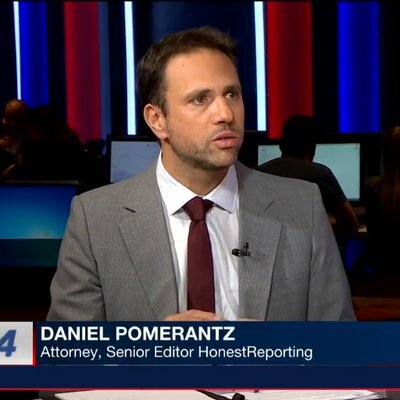 Daniel also serves on the adjunct faculty at the Interdisciplinary Center (IDC) University in Herzliya, and is a permanent panelist on i24 News. Tel Aviv International Synagogue "Beit El"